Ogden, Utah, USA – ENVE proudly announces the all-new M Series, featuring game changing technology that promises to all but eliminate pinch flats forever. The new M Series consists of seven wheelsets, each crafted for a specific rider profile based on terrain, bike type, tire size, and riding style. Since the launch of ENVE’s highly successful M Series in 2014, nearly everything in the world of mountain biking has changed – Cross country is more aggressive than ever, Enduro is a professional discipline, the Plus size platform has emerged, 29” carbon wheels are winning on the World Cup DH circuit, and E-bikes have taken Europe by storm. In order to address mountain biking’s progression and diversity, ENVE has completely reimagined the M Series with innovative new designs and technologies that promise to nearly eliminate pinch flats, improve durability, save weight, and greatly improve your ride experience. “To develop the next generation of M Series we started by asking ourselves what is limiting the potential for a better ride experience. The answer for us was confidence and control. Confidence is lost when you don’t trust your equipment and ride in fear of tire or rim failure. Control is lost when you are forced to over-inflate tires or run inserts that diminish traction, ride quality, and add weight. ENVE’s M Series unlocks new potential by removing these limitations using evolved carbon rim design and technology,” stated Marketing Director, Jake Pantone. The latest M Series is built on the concept of absorbing energy and impacts which ENVE refers to as a Dynamic Impact Design. This concept is established via two unique ENVE technologies, one that prioritizes the demands of XC and Trail riders, the other the demands of Enduro and Downhill riders. For the XC and Trail rider, ENVE presents a patent pending Wide Hookless Bead design. By increasing the width and carefully shaping the contours of the rim’s leading edges, ENVE’s new M5 Series (XC) and M6 Series (Trail) wheels promise the near elimination of pinch flatting and enhanced impact durability. ENVE’s new M7 Series (Enduro/All-Mountain) and M9 Series (DH) wheels targeted at gravity enthusiasts feature an exclusive patent pending Protective Rim Strip that eliminates pinch flats, protects the carbon rim from impacts, and does away with the need to tape the rim for tubeless compatibility. 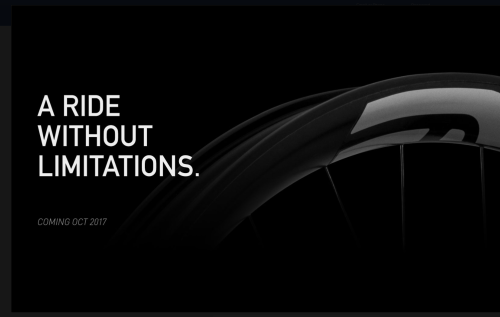 According to ENVE, their Protective Rim Strip provides an independent tubeless seal that retains air pressure in the tire even if the carbon is crack or damaged. This technology has been ridden in 29” format to multiple wins and podium results during this year’s downhill World Cup season by the Santa Cruz Syndicate and Intense Factory Racing teams. In addition to these new technologies that protect the tire from pinch flats and rim from damage, each model in the new M Series has been refined to ensure that riders looking for their perfect wheel have options from XC to E-MTB. Each wheel model has been crafted by ENVE for a specific rider profile defined by the terrain, bike, tires, and demands of the rider. The M Series is made up of 7 new models, each available in 27.5 and 29 inch diameters. These model are the M525, M630, M635, M640, M730, M735, and M930. The M5 and M6 Series wheels are ENVE’s XC and Trail category wheels while the M7 and M9 Series wheels are targeted at Enduro and Downhill riders. The last two numbers of each wheel model indicate the rim’s inner width for exacting tirr selection and fitment. ENVE’s new M Series will carry the companies industry leading 5-Year Warranty and Lifetime Product Guarantee. Highlighted in this warranty is the fact that ENVE’s warranty covers all forms of impact damage. ENVE’s retail partners are now accepting pre-orders for the new M Series. The first deliveries will take place in late October 2017. Located in Ogden, Utah, ENVE Composites is a manufacturer of handmade carbon fiber bicycle rims and components. Partnering with the prominent frame builders of our time and the world’s best athletes, ENVE combines the best composite technologies with real world athlete feedback to provide our customers with the ultimate in performance, durability, and quality. ENVE designs and manufactures 100% of their rims in their Ogden, Utah, USA facility.